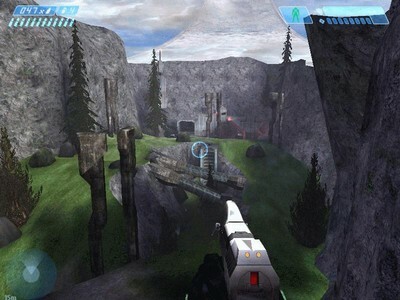 Description: A forerunner canyon, built to the shape of a helix. Where bloody battles, and confrontations take place. A forerunner canyon, built to the shape of a helix. Where bloody battles, and confrontations take place. On the night of September 21st 2552, UNSC Forces found strong Anomaly’s coming form one sector of the ring, the next morning 2 Spartan teams were sent to this place, they where never seen again, nor were the Anomaly’s. When more UNSC teams went to this place, nothing was there except for a shape of a helix less then half a KM wide, so what happened to the 2 Spartans teams when they arrived at this place and where are they now, is shrouded in mystery...or is it? Map works on all game types, and is very fun on CTF and Team slayer, and on King of the Hill its quite a 'ride' as well. Although race and oddball are fun, race has no vehicles, so its a bit of weird game type to play on this map, and oddball, isnt to great on this map, but is still fun! Big thanks to €óÑQµÊR2Ø9Ø for modelling the original bsp, which has been completely changed by FireDragon04 and doesn't look like the same map anymore. Also big thanks to Tweek, for his wide range of help and input throughout the map, You rock man ;)! This map is great, it was a blast to model up from what €óÑQµÊR already had done, and I enjoyed adding a lot that Tweek has taught me into this map as well. The map has really fun game play, and when we had the big beta test it was very fun to play CTF on, and I hope many more fun matches will be played on the map. Also Python has been the main beta tester / organiser of stuff throughout building this map and he deserves a lot of credit as well. Also I’d like to thank everyone for there help and comments on the map, especially everyone over at the GBX Forums, You guys rock! This map is very, very fun it is great on CTF and great with any game type for sniping. I have really enjoyed sharing my ideas and testing this map with FireDragon, and watching it change and evolve from blankness to well this. I hope we will keep tight and do many projects to the quality to this or better together. I hope everyone who downloads and plays this map enjoys it as much as we have creating/playing it. Thanks to everyone at GBX for your strong support.